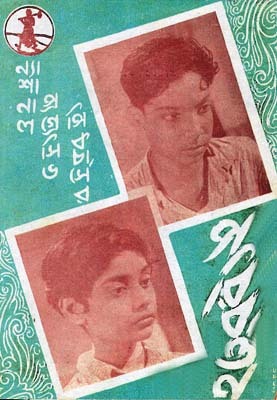 A National Progressive production which introduced Salil Chowdhury as a new and independent music director in the bengali film industry. Salil repeated his success with their second production "Barjaatri" which also turned out to be a major hit. Sadly the songs of "Poribartan" were never released. "Aamraa kishoredal" is an amazing composition. Its complex melody line with frequent rhythm changes in each antara is quite remarkable considering the year it was composed was 1949 ! Its a great pity that Salil never re-recorded it.